This luxurious infusion-serum is charged with wrinkle-filling and smoothing ingredients. This dewy cream will lift, revitalize and reduce the appearance of lines and wrinkles as it makes the skin silky-soft. This silky-nectar, anti-wrinkle serum fortified with a triple collagen complex provides a visible line-filling effect by infusing dry skin with intense moisture and lasting resilience. It offers three different paths to collagen refurbishment by increasing the skin's own collagen production, strengthening it, and safeguarding it. A flash of positive energy and freshness, this booster envelops the skin in the goodness of Vitamin C, making the complexion look younger and more vibrant. Award-winning brightening serum with real diamond clusters. This hyaluronic acid booster is the source of all things good for younger-looking skin. 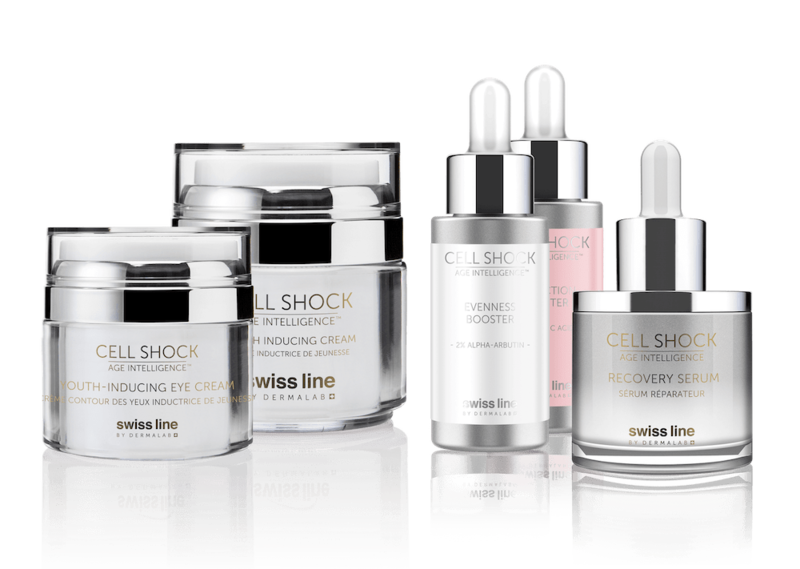 Glamorous, yet results-oriented, the Cell Shock collection combats wrinkles and loss of firmness. These are the ideal products to be used following an invasive / non-invasive aesthetic procedure. This results-oriented brightening collection merges the best in anti-aging cellular therapy with the most advanced brightening technology. Introducing Green Couture: tailoring a response to your skin concerns that is as unique as your skin. With just a blink of the eye, signs of aging can appear. As the skin around the eyes is the thinnest and most fragile skin on the face, everyday facial movements, such as blinking, squinting and smiling, can contribute to the breakdown of this delicate skin. With time, loss of firmness, creases, lines and wrinkles around the eyes can emerge. But, anti-wrinkle eyecare products containing ceramides and peptides, can counter this progression and reinstate a youthful eye zone.